JAXA Astronaut Koichi Wakata has sent us a video message from the International Space Station (ISS). 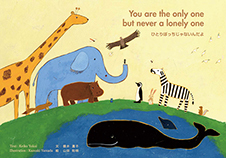 As the first step of our project "HEARTHEART – think, love, and support the earth linking our heart to heart", we produced a picture book. We produced a message video about our idea of “HEARTHEART”.